Netflix’s epic period drama “Outlaw King” tells the true story of the 14th century Scottish icon Robert the Bruce (Chris Pine), who leads Scotland in a David vs. Goliath battle for independence against the much larger and better-equipped English army. Director David Mackenzie shot on location in Scotland, with the aim of making every aspect of the film as historically accurate as possible. Mackenzie and production VFX Supervisor Alex Bicknell entrusted Method Studios to achieve the desired authenticity through invisible yet complex visual effects. Bicknell tapped Method, led by VFX Supervisor Dan Bethell, after previously working with Bethell’s team on VFX Oscar-nominated “Mad Max: Fury Road.” During production, Bethell joined Bicknell and Mackenzie on set in Scotland to collaborate on complex sequences including the climactic Battle of Loudoun Hill; they also worked with the production art department to leverage their vast historical research and captured extensive reference photography from each location. 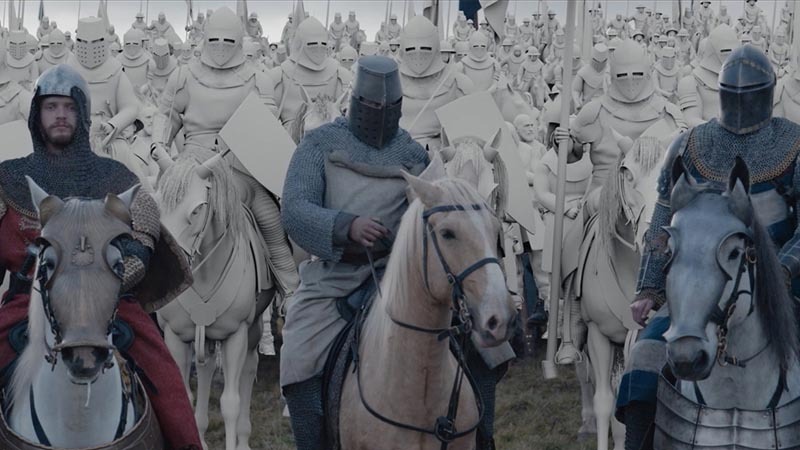 Method’s team of 180 artists then spent nine months applying digital artistry to the captured footage, augmenting and extending castle locations and environments, enhancing crowds, and creating CG horses, fire and gore – all while ensuring historical accuracy in materials, agricultural elements, weaponry, and more. Method worked on on over 700 shots for the series.